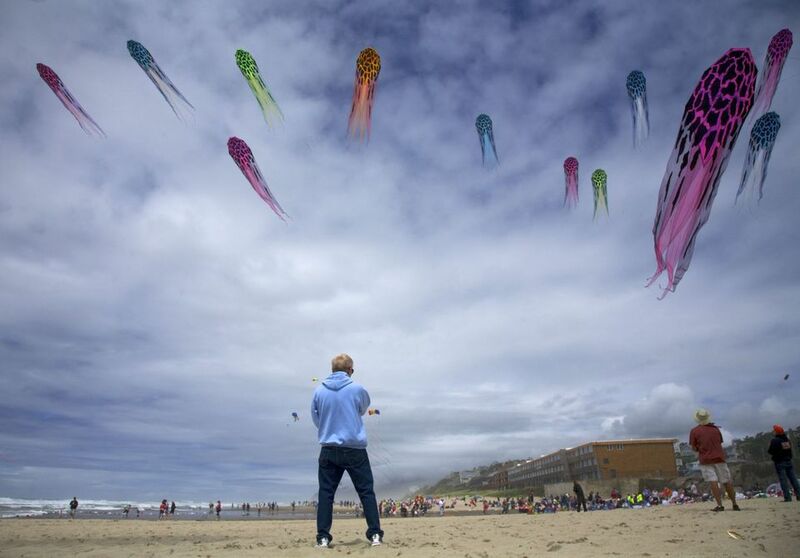 It’s kite flying time again on the Oregon Coast. 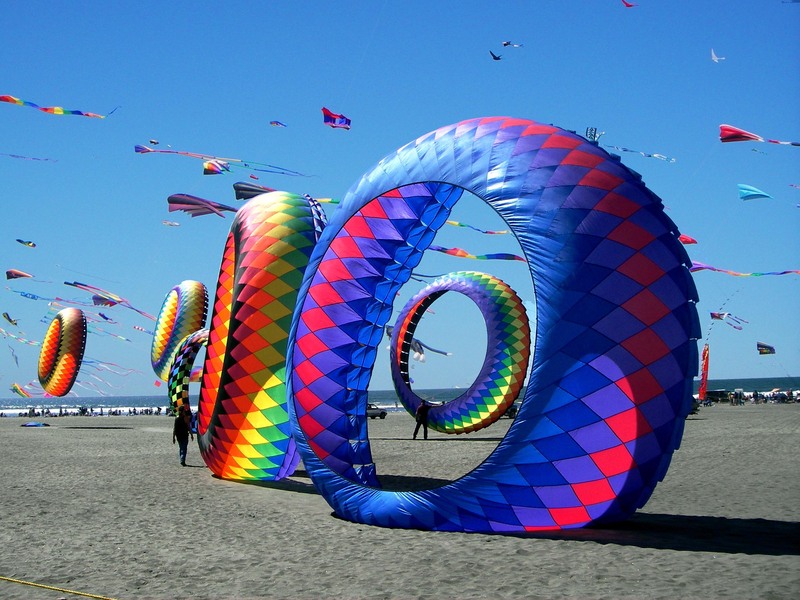 Saturday, September 30, and Sunday, October 1 from 10 am to 4 pm, a delightful variety of kites will be flying from D-River Wayside State Park in the heart of Lincoln City. Features of the festival will be experts showing off their kite-flying skills, kids free kite making and the running of the bols (see below). 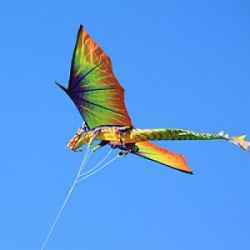 You will see the most unique kites ever seen anywhere. 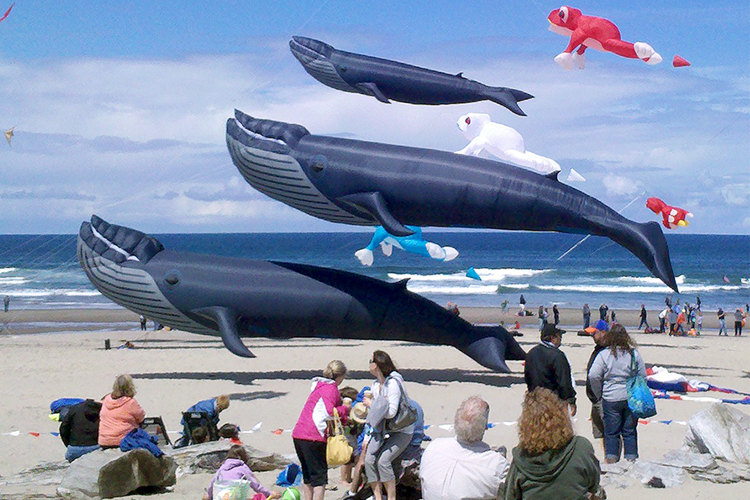 Here we are re-posting a previous kite festival blog post about one of Lincoln City’s semi-annual kite festivals. Come see what’s new in kites this fall! 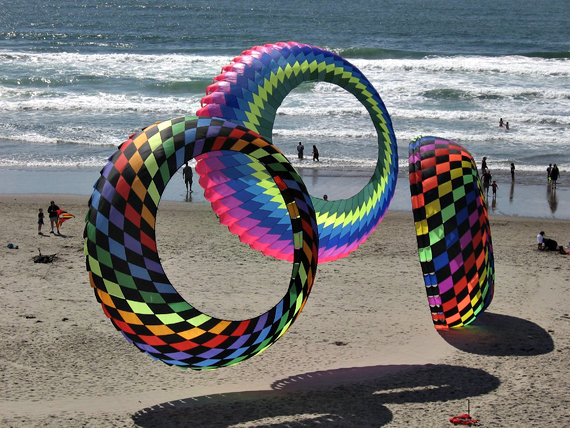 The Oregon Coast is the perfect place to fly your kite. The breezes flow most of the time and the beaches are long and wide. 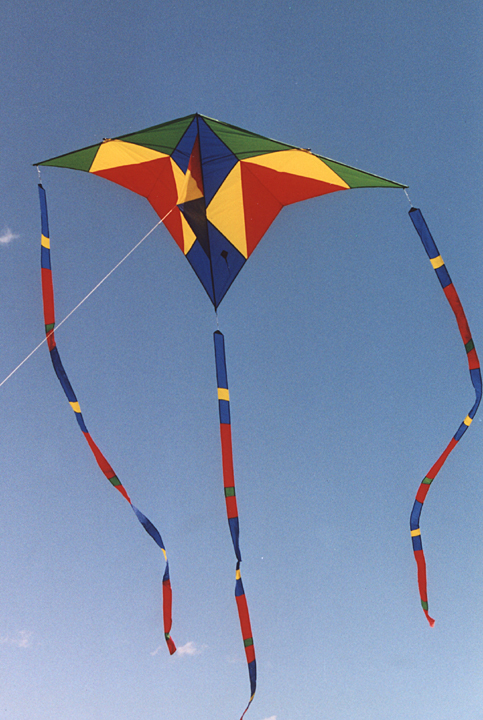 There are kite stores, kite clubs, kite flying lessons and kite festivals. 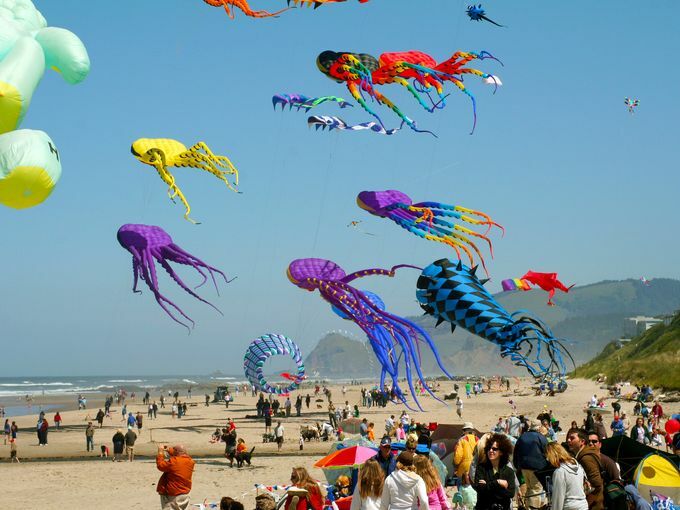 Lincoln City on the north coast holds one indoor kite festival every March. 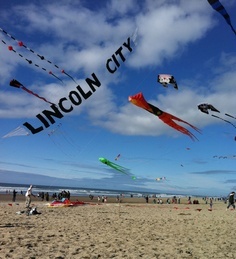 Rockaway Beach has its beach festival in May and Lincoln City just had their summer kite festival on the beach in June. Brookings on the south coast holds one in July. The only places whales can fly! 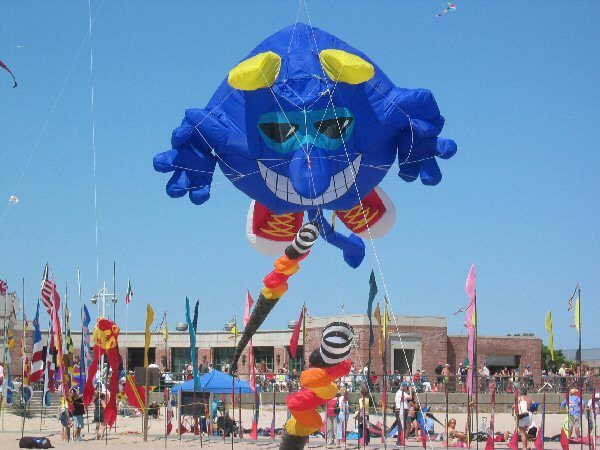 The kite festival we will visit today is coming to Lincoln City in October, depending on the weather, on the beach in the center of town. Lincoln City has a large, unique public beach right in the middle of town so you don’t have to go far to find this one And, oh, the kites! Big ones, little ones, funny ones, pretty ones, strange ones and very unique ones. And then there is the running of the Bols! Teams of three pull the Bols across the sand racing to be first to the goal line. The Bols come in a variety of colors and geometric patterns. Music plays and the crowds cheer! And the kite flying never stops. Sometimes multiple kites managed by a lone flyer are in the air. And unusual patterns take place overhead. 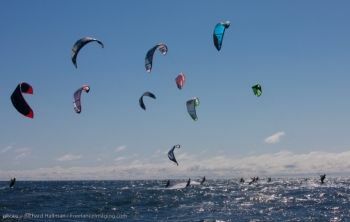 And what about kiteboarding out in the Pacific Ocean??!!! It’s hard to know what to look at and for first! Sometimes a kite is just a kite! Treat yourself this fall. 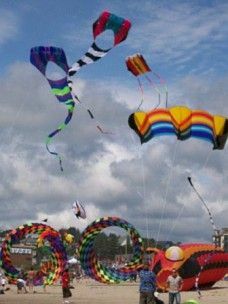 Come stay with us at Umpqua River Haven (www.umpquahaven.com) and spend a day on the beach in Lincoln City enjoying the kite festival! Wish I could be there. Looks terrific and so very colorful – almost as good as the Balloon Fiesta in Albuquerque. Thanks. Can’t beat a day at the beach, Marg, and all that entertainment to boot! A most wonderful, colorful and exciting event of the season. 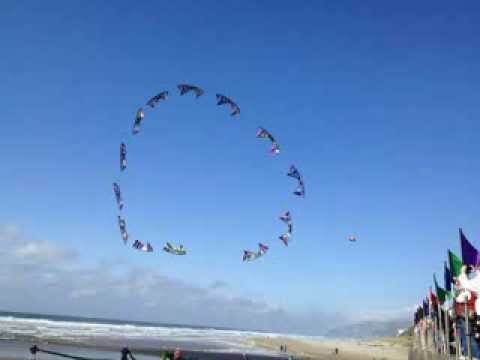 I’ve flown many kites at Neskowin and Lincoln City, and you can’t have more fun with your clothes on. 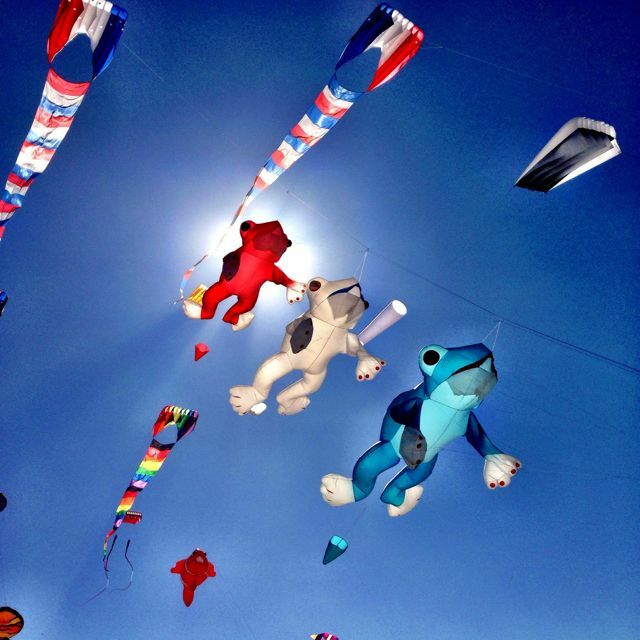 Grab a kite and get your fly on!